When a #badge-learner "requests feedback" an email is sent on their behalf to all #badge-awarders who have not opted-out (see section below for more details). Any of the badge awarders is then able to sign in to Badge List and add a "feedback" to the learner's #progress-log. By default, Badge List will automatically initiate a feedback request after the learner submits evidence for all of the badges requirements. This feedback request can be withdrawn at any time. 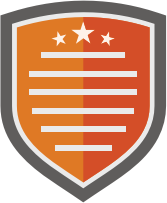 The feedback posted by a badge awarder will either include an #endorsement or it will not. 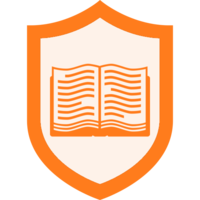 If an endorsement is included, then the badge is awarded to the learner (thus turning them into a #badge-expert) and send them an email notification. Feedback without an endorsement only results in the sending of an email notification. The contents of non-endorsed feedback should explain why the learner has not yet earned the badge and what steps are needed in order to complete the requirements. Feedback can be updated by its creator at any time. This means that an endorsement can be added at a later date. It also means that an endorsement can be rescinded, potentially resulting in the the badge being withdrawn / retracted. If multiple badge awarders provide feedback the "endorsement status" is determined based on the #endorsement-count. By default feedback request emails are sent to all #group-admins and also to all #badge-experts (if experts are able to award the badge). Individual badge experts are able to "opt-out" of these emails by going to the badge page and clicking the "Edit your membership" button. There is not currently any way for group admins to opt out of feedback request emails. If feedback request emails become a nuisance for group admins, there is a notification setting in the badge edit screen that allows you to specify whether feedback request emails are sent at all. If you decide not to send feedback request emails then no notifications will be sent to any one and it will be up to you to sign in and check whether there are any open feedback requests.